Flying like a free bird high up in the sky has been one of the human fantasy for a long time now. Even after the invention of air crafts there were still a group of maniacs who wanted to take this to another level and that is something very closer to soaring through the air. It was then some crazy people developed an adventure sport called paragliding. It gives you a thrilling experience of soaring and gliding through the air with the vast nature beneath you. Paragliding is an adventure sport that allows you to fly free with harness connected with sails. It is now becoming very popular in India however it originated in the 1940s. In the past few years there has been a huge increase in the paragliding sites in the world and even India is no exception. There are a number of adventure sports that are hosted in India year round such as rafting, scuba diving, snorkeling, jet skiing, paragliding, para-sailing etc. The top 10 best paragliding destinations are listed below. Capital city of Meghalaya and famously recognized as the “Scotland of the East,” Shillong is a famous Hill station located at a height of about 1496 meters. It provides for amazing paragliding activities by avant-garde payout hydraulic winch towing system which is mounted on a boat and tows the fliers up to 700 meters. You get the beautiful views of the place along with experiencing such a futuristic technology. A well-known destination in India flocked by number of tourists every year, Mussoorie is the Queen of hills. It also hosts adventure activities like paragliding much like every other hill station of India. At the elevation of 2300 meters, you can get the best view of the Dehradun city which is the capital city of Uttarakhand. 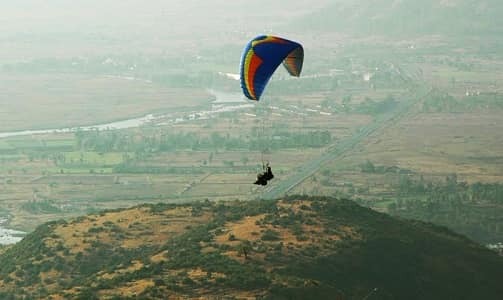 Kamshet is a flier’s paradise if you are looking for paragliding activities in and around Mumbai and Pune. 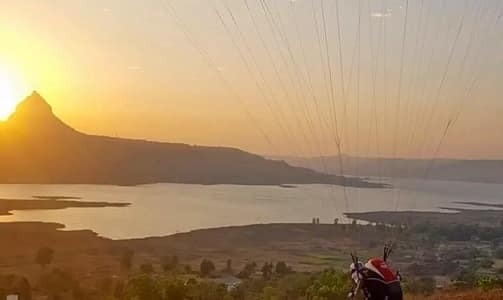 About an hour’s drive from Pune and about 2 hour drive from Mumbai, paragliding in Kamshet is on a must-do list of all the travel junkies. The paragliding season starts from October. 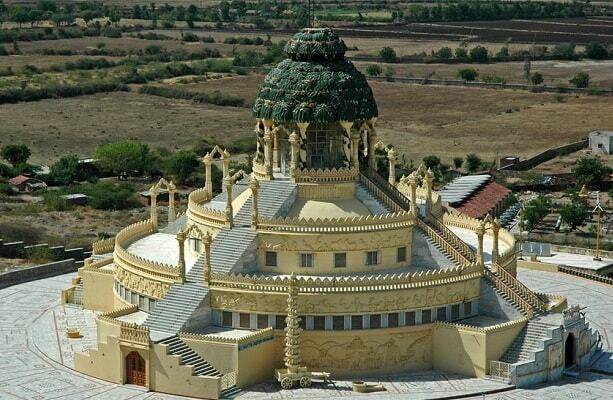 Other interesting Tourist Attractions are nearby Karla Caves, Bhaja Caves Bedsa Cave and Vadivale Lake. 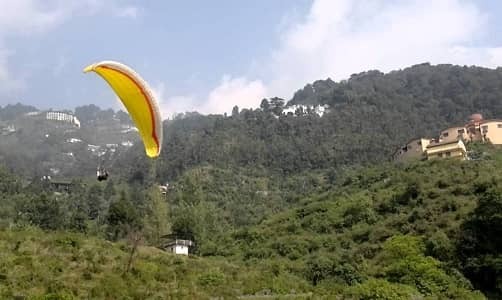 The city famous for its 7 lakes – Nainital – offers amazing paragliding activities for the adventure seekers at an elevation of about 2000 meters. Two well-known locations for paragliding are Bhimtal and Naukuchiatal. With the gorgeous lakes beneath the flier, and amazing view of hills this places makes it to the best destinations in India for paragliding. The other famously known paragliding destination is Manali, Himachal Pradesh. You can come for paragliding anytime except the monsoons. 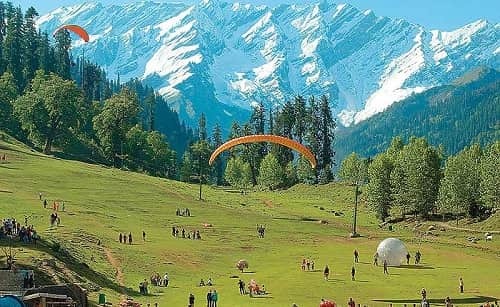 Two most popular paragliding spots in Manali are Marhi and Solang Valley. These places are even famous for other sports which can be tried throughout the year such as zorbing, skating and parachuting. 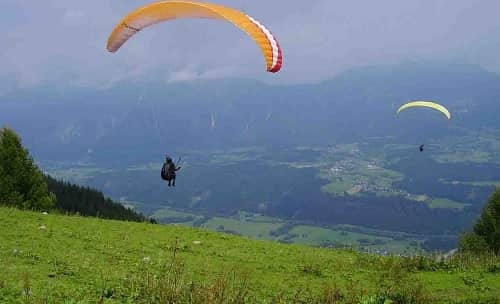 In Manali you can expect the best of both the worlds – beauty and abundance of nature and rich experience of flying in the air through paragliding. One of the most admired and famous tourist spot in India is Goa. 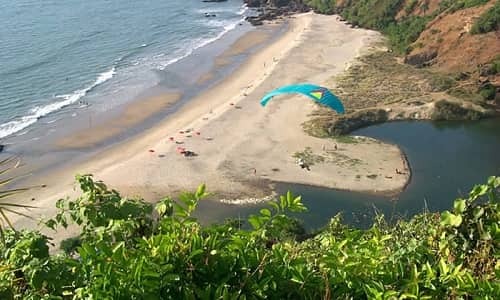 Also Goa is one of the India’s top adventure sports destination and professional gliders from all over the world come and explore the beauty of this tropical place. The adrenaline rush, bird’s eye view of the picturesque beauty while soaring in the air is something all the tourists explore once they reach Goa. The beautiful views of Sunrise and sunset are few of those which you surely cannot afford to miss. The Silicon Valley of India also hosts one of the best known locations for Paragliding in India. Just about 2 hour drive from Bangalore, Nandi Hills is another spot for paragliding. Located at an elevation of 1478 Meters, the adventurers can explore other adventure activities like hang-gliding and para-jumping. There are a number of contractors who offer trainings to learn paragliding at very nominal rates. Nandi hills surely provide a unique experience. You can also plan to visit Bhoga Nandeeshwara temple, Tipu’s Summer Palace and Fort or even Hebbal Lake. If you are searching for paragliding activities in Chennai, you can directly head toward Yelagiri. At a distance of 230 Kilometers from Chennai, Yelagiri offers a vast natural expanse as well as amazing paragliding experience from an elevation of over 2200 meters. The landscape, Marina Beach and the forest area of Yelagiri makes it one of the best known destination for adventure sports like paragliding. If you are crazy enough to explore this area further, plan your trip to a small hill station situated on Vaniyambadi Tirupattur road which is a home to innumerable species of beautiful snakes. 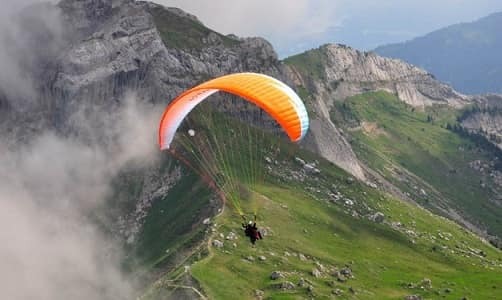 Uttrakhand offers some marvelous views and spots for paragliding. 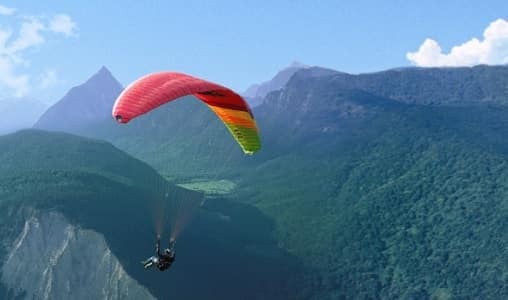 Bedni Bugyal in Kumaon region offers some astonishing paragliding activities in India and you will surely get a unique experience. Himalayan Alpine field, Bedni Bugyal is located at a height of 3,354 meters in the beautiful district of Uttarakhand known as Chamoli. This place is simply perfect for the crazy and adventure junkies as it offers awesome and magnificent sights of the mighty Himalayas. You can also plan to visit Bedni Kund or lake which is known for its rare Brahma Kamal, which is known as the the state flower of Uttarakhand. A small village in Himachal Pradesh, famous for holding the first of its kind Paragliding world cup. 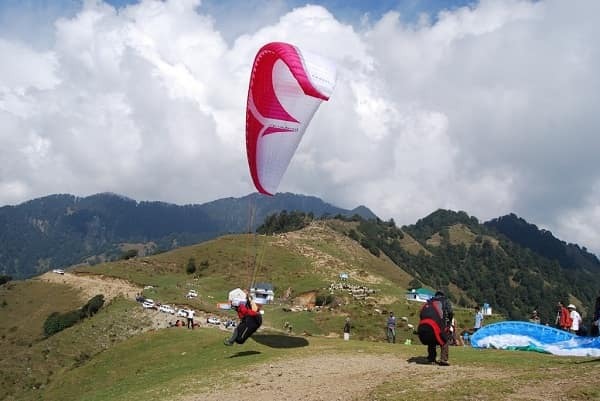 With approximately 11 paragliding spots, Himachal, has become “the home” to paragliding activities in India. 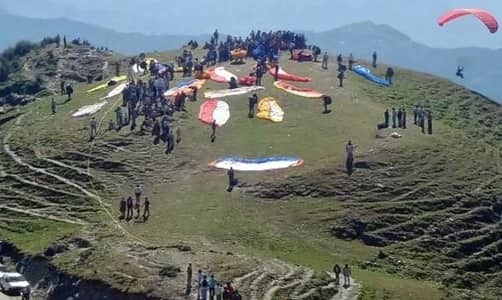 Bir Billing is the Paragliding Capital of India in Kangra Valley of Himachal Pradesh with an altitude of almost 2600 meters. Other paragliding sites include Rohtang, Parvati Valley, Bakhli and Devidhar. Apart from paragliding, this place is also known for ecotourism and spiritual tourism. Sometime in our life, we have dreamt of spreading out our wings and flying like a bird. Over a period of time, it was realized that humans can’t grow wings so why not get something which gives the thrill similar to flying. Once the flier is launched into the air, there is an adrenaline rush and a thrill and excitement which cannot be explained in words. If you are going on a vacation to a destination which offers paragliding, make sure that you experience it surely. Even if you are not a qualified glider, there is no need to stress and you can still fly under the guidance of an accompanying professional.